When Ambedkar was still at a nascent stage of his political career, at a venue of a meet, his congregation slept peacefully at night while he was wide awake. “Why don’t you sleep too?” A journalist asked him. “If I go to sleep, who will rouse these people from their centuries of slumber?” He replied. Prajakta, a nanny working in a household in juhu, took the night off on deceember 5th, to go to shivaji park, to pay homage at the feet of the statue of dr. babasaheb ambedkar, on his death anniversary. From 9 p.m. she and her family, her cousins and unlce and aunt – all migrants into mumbai from konkan – stood in the long serpentine queue , to finally reach Ambedkar’s statue where they stood in silence for a few seconds before moving on to make way for others in the line behind. people come in thousands from all parts of western maharashtra and marathwada to be in mumbai for this just one night. Bhimrao , born on 14th April 1891, one of 14 children of his ‘untouchable’ parents went on to making great strides in education, ultimately getting doctorates from both Columbia University (USA) and London School of economics (U.K). But so educationally backward was the rest of his ‘Mahar caste’ that when he had gained admission to elphinstone high school he was felicitated as the only untouchable to reach such a ‘height’! 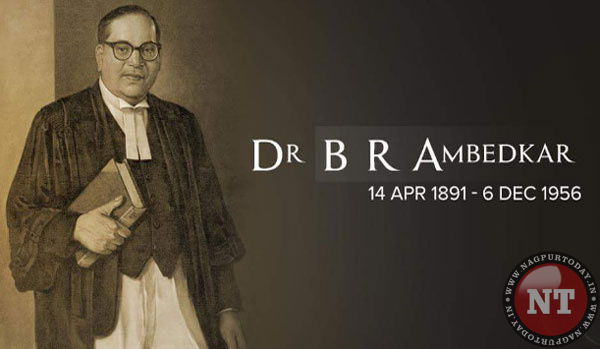 His own experiences in life, made Ambedkar acutely aware of the injustice and inhumanity Dalits – lowest caste in Hinduism – had suffered for centuries. After getting two Doctorates from such distinguished international Universities, Bhimrao still faced discrimination in getting a job in India, which was still ruled by the British. When he was appointed Economics lecturer in Bombay’s Sydeham College, the other teachers there refused to share the water jug with him! He realized then that just getting an education would not liberate the Dalits. Nor would freedom from the British. Independent India had to get a Constitution which would address their problems and issues independently. Bhimrao, who had become a lawyer also by then, put his heart and soul into ensuring this. His fight for his people made him an adversary of many strong Indian leaders, beginning with M.K. Gandhi himself. Gandhi’s and Ambedkar’s visions for Dalits were very divergent. Gandhi saw them as an oppressed but essential part of Hindus, Ambedkar wanted a distinct identity and freedom from the entire Caste system, even if it ultimately meant giving up Hinduisn itself. When the Ramsay MacDonald Award was announced giving separate electorates to Dalits, Gandhi protested with a fast to death. And this brought him into direct confrontation with Ambedkar. For Ambedkar, the problem was simple. If Gandhi died, in villages throughout India there would be pogroms directed against Dalits and a massacre. Ambedkar surrendered, and the Poona Pact formalized this with reserved seats for Dalits – more than they would have had otherwise, but in constituencies now controlled by caste Hindus. Ambedkar wrote, many years later, in What Congress and Gandhi have Done to the Untouchables, “There was nothing noble in the fast. It was a foul and filthy act. The Fast was not for the benefit of the Untouchables. It was against them and was the worst form of coercion against a helpless people to give up the constitutional safeguards [which had been awarded to them].” He felt that the whole system of reserved seats, then, was useless. For years afterwards the problem of political representation remained chronic. Ambedkar continued to ask for separate electorates, but futilely. By the end of his life, at the time of writing his “Thoughts on Linguistic States” in 1953, he gave these up also and looked to something like proportional representation. But the Poona Pact remained a symbol of bitter defeat, and Gandhi from that time on was looked on as one of the strongest enemies of the Untouchables by Ambedkar and his followers. In 1956, just months before his death, Dr. Ambedkar denounced Hinduism and with a congregation of lakhs of his followers adopted Budhism in Nagpur. Today, you just have to attend a Neo Budhist wedding to see the effect of Babasaheb on his followers. There are no Hindu/ Brahminical rituals at all. There is just an idol of Budha and a photograph of Ambedkar before which the couple take their marital vows. When Ambedkar died in 1956, his body was flown to Mumbai where the last rites were performed according to his new religion. This is the place people still congregate in thousands and lakhs to mourn his passing away – even 63 years later!